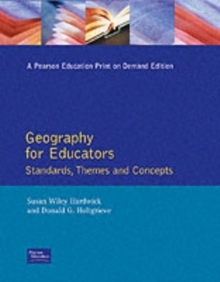 A detailed "primer" of geographic standards, themes, and basic terms for geography and social studies educators at all levels of instruction. 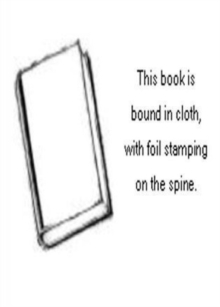 The only text that links the new National Geography Standards with the five Fundamental Themes of Geography, this detailed "primer" of geographical standards, themes, and basic terms for geography and social studies educators at all levels of instruction focuses on "what" to teach when addressing the geography portion of the school curriculum. Using a systematic approach that builds from basic knowledge to more complex, it explains the physical, cultural, and economic systems that interrelate and operate on the planet - showing K-12 teachers that not only do various components of the social studies curriculum incorporate geographical concepts, but that other commonly taught subjects such as literature, mathematics, and science also have a geographic dimension. It encourages teachers to move beyond the traditional stereotype of geography as place memorization toward conceptual thinking about how Earth systems work.